Intel's new breed of Haswell processors will headline a new range of MacBook Pro laptops at next month's Apple's WWDC 2013 conference next month, according to one noted analyst. Ming-Chi Kuo of KGI Securities, whose track record is better than most, thinks the new models will take the stage at the Moscone Center, where Apple is also expected to showcase the next version of Mac OS X. According to Kuo, there'll be no major design overhauls aside from the inclusion of Intel's new processors, while the optical drive is also set to remain within the standard non-Retina Display MacBook Pro line. 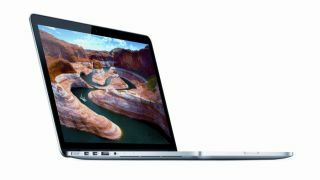 Last year the company launched 13 and 15-inch MacBook Pro with Retina Display models, but ditched the optical drive to save space. In a note to investors, Kuo also poured cold water on speculation suggesting Apple is ready to bring the Retina Display tech to its super-slim MacBook Air line. Intel is officially launching the super-efficient Haswell family of chips on June 3. Haswell will replace the current Ivy Bridge generation, with Apple's WWDC event taking place exactly a week later. Also on the agenda for the annual developers conference is the first look at iOS 7, which has the potential to be the most interesting software release in a while, given predictions that major changes are afoot. Just this week the company sold all 5,000 tickets for the event in just two minutes. Not bad considering they were $1,599 a pop.